You know that God answers prayer. What does He say? If you ask anything in My name, I will do it. (John 14:14) Of course, you have to be in relationship with Him. You have to know you hear His voice — My sheep hear my voice. (John 10:27) But what if you are hearing Him and it seems like your prayers aren’t being answered? First of all, know that everyone will go through that. It’s wrong to assume that God answers prayers for everyone else but you. We all go through dry spells. It’s what you do during those times that will affect if and when your prayers are answered. You have to keep believing. You have to remember how much God loves you. There are reasons for the delay. You have to trust Him. If the answer hasn’t come yet, does it mean that it never will? No, it just means that it hasn’t come yet! Maybe there are circumstances that have to change first. Maybe your heart has to change first. Stay strong in faith. Keep listening for His voice. Be obedient to the things you know you need to do. Praise Him regardless of seeing answers. Praise Him for the answers. 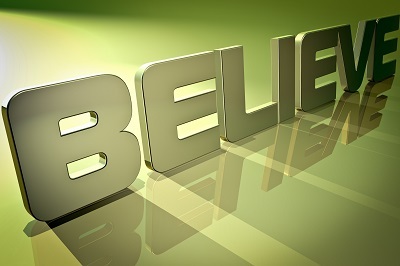 If what you want and need is of value to you, there’s no reason to stop believing. This entry was posted in Blog, Faith on July 17, 2014 by Diana Symons.